Newer: » Wild Animals are NOT pets! According to DOE, at about 7pm on December 30, 2014, personnel from the Department of Environment (DOE) were informed of a vessel grounding that occurred on the Belize Barrier Reef just south of the access channel near Caye Caulker Village. The DOE contacted the relevant agencies, including Belize Fisheries Department and the Belize Port Authority, who responded to the incident in accordance with the National Standard Operating Procedure for Marine Casualties. “During the response to the reported area by the team on 31st December, 2014, the DOE personnel observed a stationary 40-foot, blue and red steel hull sail boat named “Termaji,” with Flag State as France. 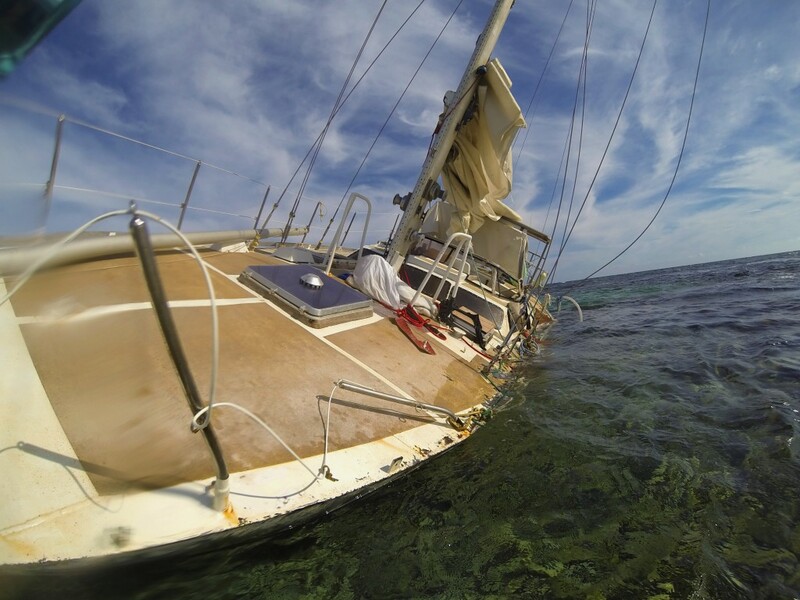 Upon investigations, it was learned that the owner and captain of the vessel, a French National, were attempting to access the channel in front of Caye Caulker Village when the vessel grounded on the reef,” stated the press release from the DOE dated February 6th. DOE did not release the name of the French sailor and owner of the vessel but confirmed that sailor has left the country. 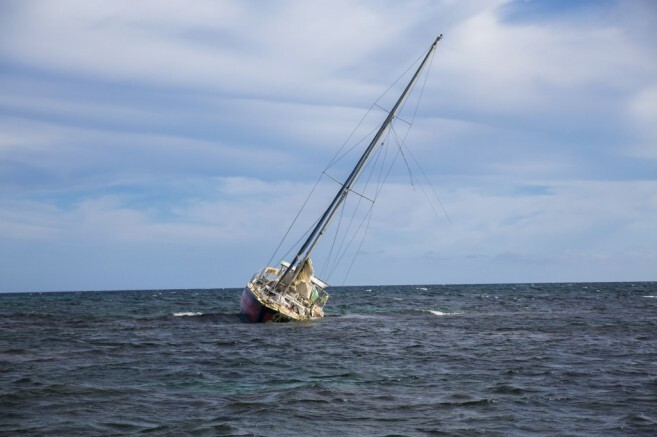 They also did not say under what terms the owner of the vessel was allowed to leave the country prior to an assessment of the damages caused to the reef and how he intends to compensate for damages. The release ends by stating that once the weather allows for the safe removal of the vessel, the team will return to the site to continue final removal from the reef. 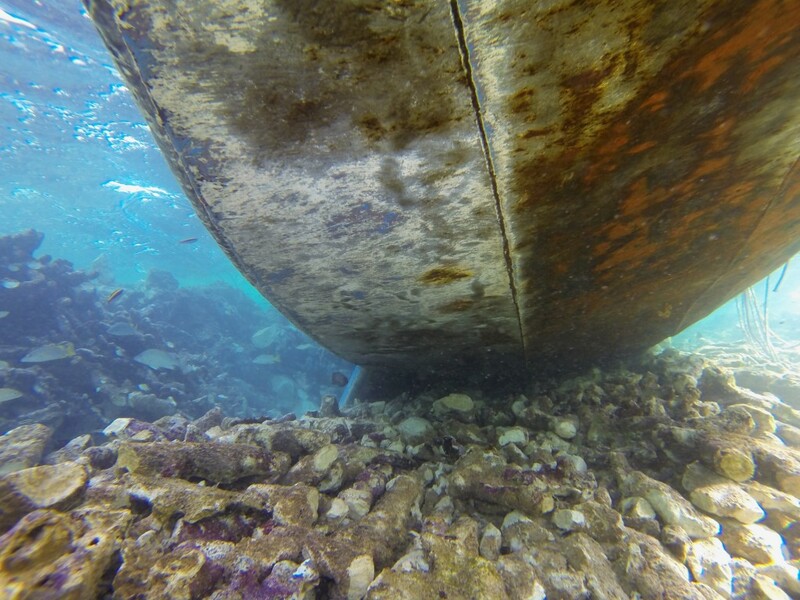 This is because removing the vessel from the reef can potentially be very dangerous to personnel in bad weather. The San Pedro Sun will continue to follow up on any new developments in this story.